BooqBags.com is a premium/exquisite bag company, currently doing business in Sierra Madre, California. They are stylish, eco-friendly and tough! A quick glance through their offerings alone, is very pleasing! We have just received the Cobra slim in gray and it is simply amazing. The bag is divided into three compartments and the middle one is zippered. 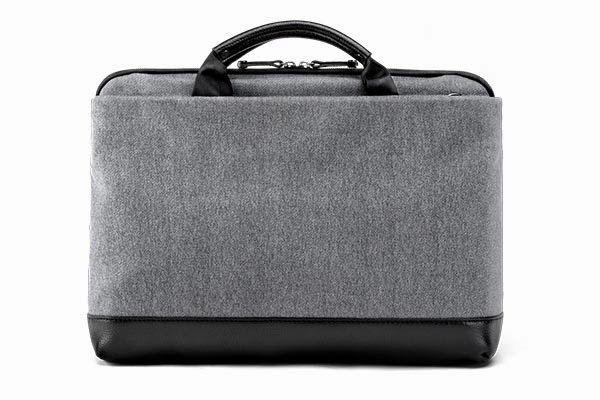 The bag is meant to accommodate laptops up to 15.6" in length. The first compartment has a burgundy liner with an attached keyring on the right-hand side. It is snapped shut. The middle area was designed to hold your laptop and has a small, Booq tab sewn into the top are. The zipper (YKK) fobs are a strong leather. The last compartment is also zippered and and has sewn in holders for your writing instruments and two pocketed areas. These are at the bottom. Hence, you have plenty of room for other gear. This area has another Booq tab sewn into the top and a metal Terralinq plate. You also get a Terralinq insert in this area. This is pretty cool as it allows you to possibly retrieve your bag, in the event that it is ever lost. You have to register it and you might not get it back. However, there is a possibility that you might and this makes everything all worth while. The Cobra slim is also equipped with a sturdy shoulder strap. The thing is, there are no stray threads or undone portions. The quality of the strap is just as strong as the bag is and that's outstanding! BooqBags is hands down, the best bang for your buck! As a student of many years, we can assert that we have tried a few different brands by now and none of them come close to what Booq Bags offers! They just. Don't. The Cobra slim retails for $195.00 and is available at this link here.